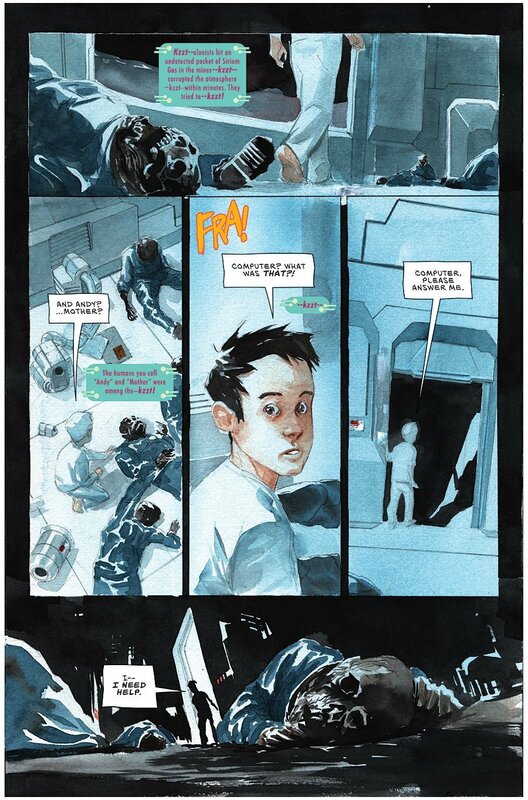 Descender: Tin Stars has all the elements of great storytelling in graphic novel form: characters, world building, action, conflict, and tension. 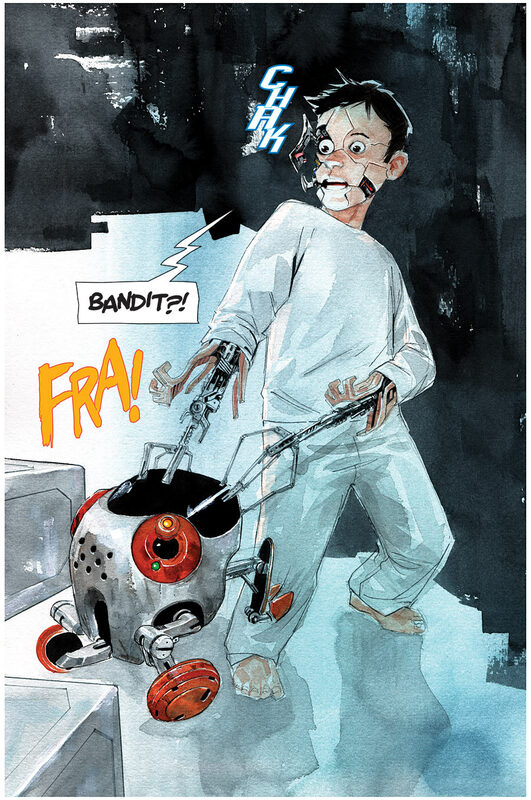 All of this is masterfully penned by writer Jeff Lemire, and brought to colorful and warm life by artist Dustin Nguyen. Highly recommended! My reads of comic/graphic novels are few and far between. The search for truly science fiction based works in this medium that appeal to me is limited and, to be honest, a bit exhausting. 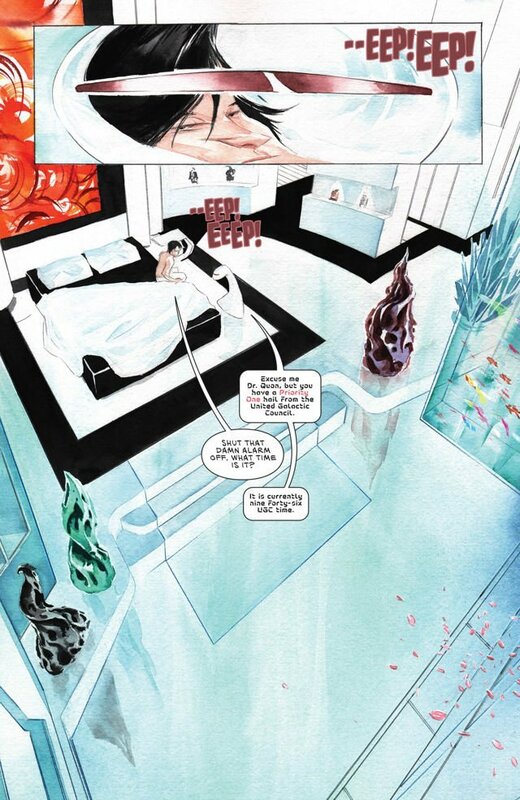 Most comic/graphic novels lean towards superheros, or urban fantasy, or manga, or romance, or teen, or all of the above . . . you get the picture. 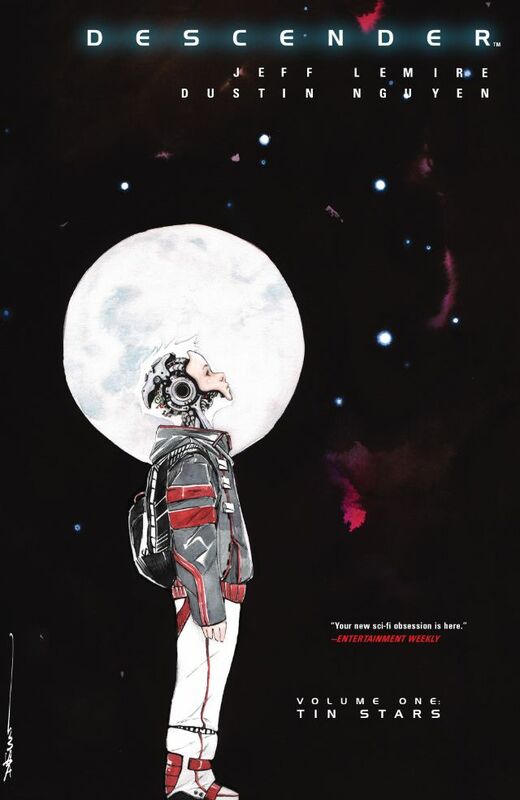 So on a whim I picked up a copy of Descender Volume 1: Tin Stars while digging around on Amazon . . . and am I glad I did! 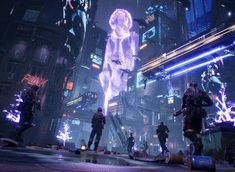 At the beginning of the story human space appears to be prosperous and technologically advanced, robots living side by side with humans, coexisting in peace. 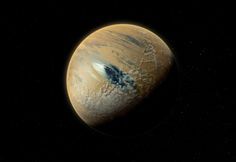 Then in the blink of an eye the Harvesters appear; machines that ravage many of the most important and populated star systems, then enigmatically vanish again. The Harvesters are giant machines, so naturally this sets up a very uncomfortable future relationship between the two factions who were co-existing peacefully: humans and machines. Jump ten years into the future and we’re introduced to TIM-21, a small boy who has been asleep for those same ten years, having been put to bed with his “brother” just before the Harvesters start ravaging humanity. It turns out he himself is a robot, a companion ‘bot to a boy on a remote mining colony. In the chaos and terror he’s left switched off in bed . . . he’s abandoned and wakes up all alone those ten years later. Before long TIM-21 finds himself reunited with his pet, Bandit, being hunted by Scrappers (bounty hunters hired to hunt down and destroy robots for fear of another Harvester attack), and teaming up with a ragtag group of misfits who share a common bond and goal . 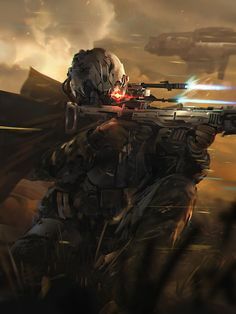 . .
An advanced, Class A companion ‘bot created by Jin Quon’s company and pulled into a mystery involving the Harvesters and alien technology. The tough as nails UGC (United Galactic Council) operative haunted by the death of her mother at the hands of the Harvesters. A brilliant, yet cowardly, robotics engineer who sold his integrity and peers out for success long ago. Buried secrets run deep in him. A powerful mining robot who initially saves TIM-21 from Scrappers, later acting as his body guard and the group’s muscle. TIM-21’s faithful companion pet, also a robot. Given to him as a gift from Andy’s mother. Also known as “Yappy-Bot” to Driller.
. . . among other colorful cast members, both savory and unsavory. Before they know it TIM-21 and gang are on the run across the galaxy being hunted, captured, and probed by both sides that exist just on the edge of full out war. 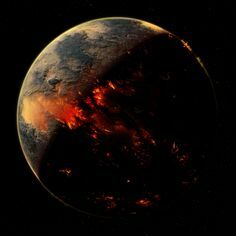 Humans want to exterminate machines, and machines want to protect themselves and exterminate humans. On a distant mining colony, a self-aware and extremely lifelike robot named TIM-21 becomes the target of a galaxy-wide pursuit when it’s believed he may hold the key to the destruction of the galaxy at the hands of the Harvesters. 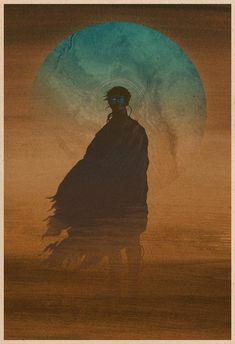 TIM-21 bands with a rag-tag group of unlikely companions and go on the run from one exotic planet to the next with new foes advancing at every turn. A rip-roaring and heart-felt cosmic odyssey that pits humanity against machine, and world against world, to create a sprawling space opera. 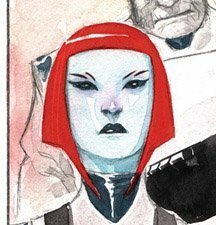 The beauty of Descender: Tin Stars is that it offers everything that makes most traditional (print) books superior. 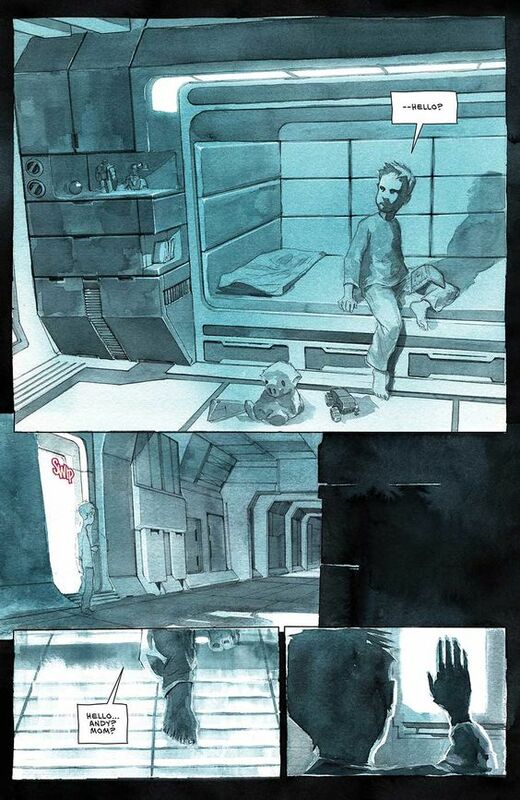 Somehow, some way, Jeff Lemire manages to cram all the elements of classic storytelling into short format graphic novels. From the introduction of every major character you can tell each of them has their own individual attitudes, perspectives, and quirks. They compliment each other, or conflict with each other, in very fun and easy to accept ways. Additionally, Lemire jumps right in and starts building backstories for each of them, introducing non-linear aspects to the overall story. 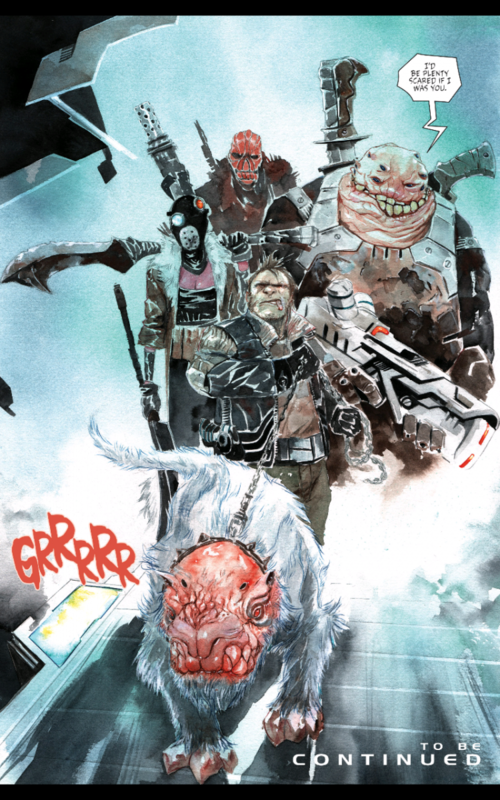 Descender possess believable world building that feels both vast and alien, and Lemire populates it with exotic denizens that don’t fail to add to the tension and mystery of the main story. Each chapter ends with a mini-cliffhanger or epiphany that helps build that tension and leapfrog the reader into the next chapter. The level of action is appropriate without detracting from the aforementioned character development and world building. It’s easy to throw non-stop action at the reader and hope it entertains, but it’s very difficult to balance all three: characters, world building, and action. Lemire does so masterfully. 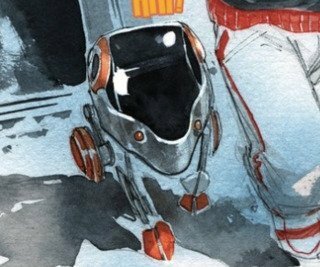 Descender comes across as a far flung space opera, while still feeling like a human story . . . if that human were a robot boy trying to understand how he fits into the greater scheme of things. In that respect is also has elements of the movie A.I Artificial Intelligence. 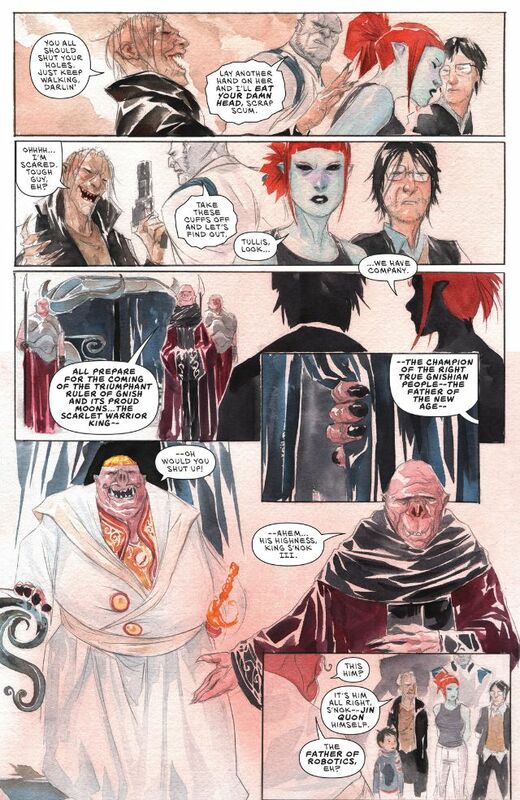 And all of the elements mentioned above lends Descender to have appeal to readers of all ages. Granted, it might be a bit dark and complex for kids to read, but some of them might identify and sympathize with TIM-21. 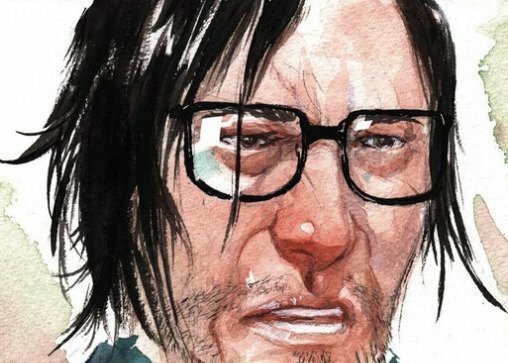 All of this is beautifully and stylistically served up by artist Dustin Nguyen using pencil and gorgeous watercolor. It’s all done on watercolor board and you can actually see the board texture in the final scan/prints of the book. This adds a certain warmness and subtle abstraction to the art within, forgoing some of the stark (dare I say cold?) detail that might come from using traditional inks or rendering. 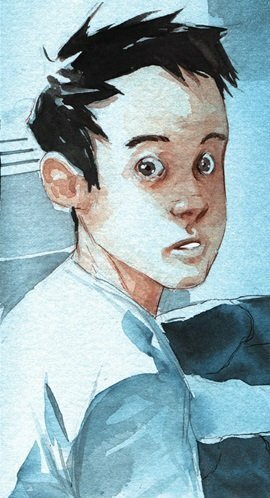 Nguyen won a 2016 Eisner award (Best Painter) for his work on Descender. 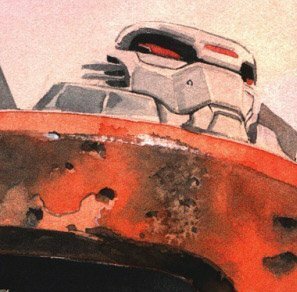 Sony has picked up the movie rights to Descender. I recommend picking up and reading the graphic novels (which are still being released in single and anthology formats) before the movie hits the theater. There’s no news on when that day might be, so stay tuned.